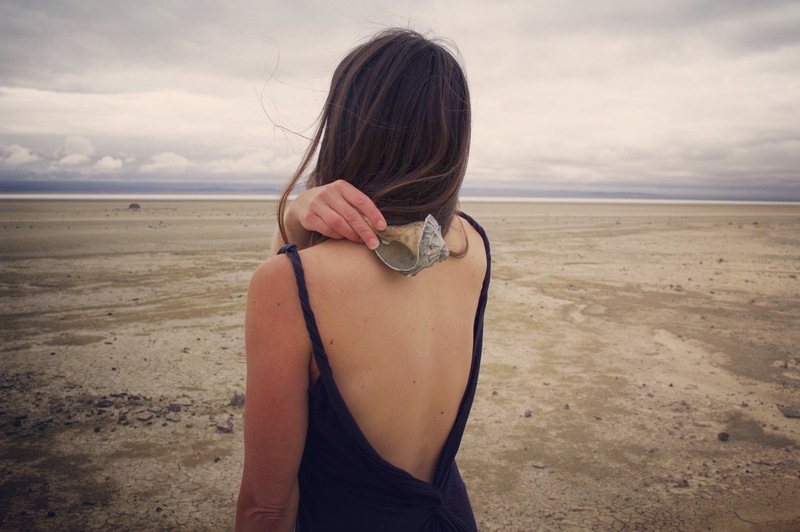 A creation myth | a ritual performance piece begun in the desert lake basin of Oregon, exploring the cycle of rebirth and regeneration, recorded through photo and video. Every World has a beginning. And first, there was a great ocean, bubbling with the essence of life, the breath of creation floating over it as the winds washed through an open sky. And out of its spiraling shell I slipped, naked. And then, over the lands I walked as if in a kind of dream, for a very long time. This project was made possible through The Playa Fellowship Residency Program, Playa Summer Lake, Oregon.